A famous saying – ”love goes through the stomach” – really pins down the intricate, yet straightforward relationship between love and food. As with people, the same goes for places – in most cases a traveler falls in love with a country by falling in love with its food. Yes of course, you can be spellbound by the scenery, fascinated with the architecture, charmed by tradition and way of life, but not until you sit down and treat yourself with a local delicacy, do you really get to know a foreign country. A local dish is actually a symbolic shortcut which employs all your senses at once, introducing you to a foreign culture in the best possible way – through the pleasure of eating. 1. 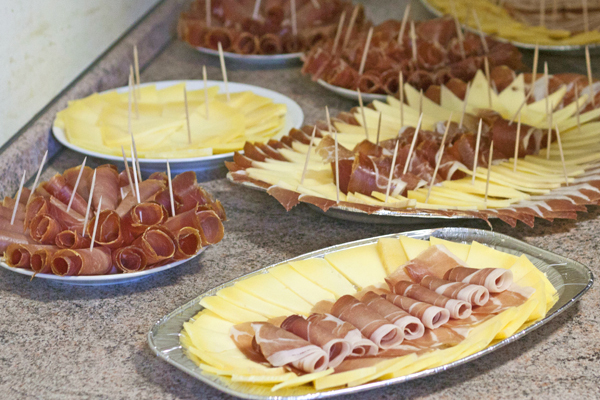 Pršut – is a dry-cured ham, an essential part of every type of celebration in Croatia and every restaurant menu. The best domestic pršut is made with a help of nature – fall and early winter are the weather conditions necessary for its making, and local bura wind (the cold, salty wind from the Adriatic) is what makes its texture and taste unique. Traditionally it’s cut in thin, long slices (believe us it’s a skill on its own) and served with cheese and olives as an entree or a healthy in between meal. The most renowned is pršut from Dalmatia, especially from a little town called Drniš, situated in close vicinity of Šibenik. 2. 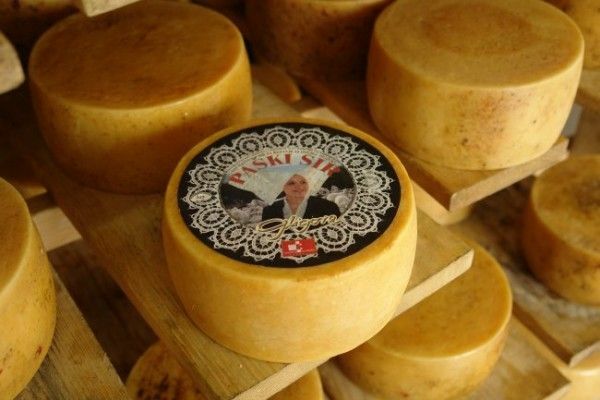 Paški sir – is cheese from Pag Island and it’s made entirely from milk produced by sheep grazing freely local sparse grass, various herbs and aromatic plants. The result of all this is its special flavor which has been recognized globally and awarded year after year. During its preservation it’s coated with olive oil and wrapped in cloth. The most popular varieties of Paški sir are the mature ones due to their strong, distinctive taste. Traditionally it’s cut in thick triangle slices and served with pršut, or grated over seafood pasta. 3. 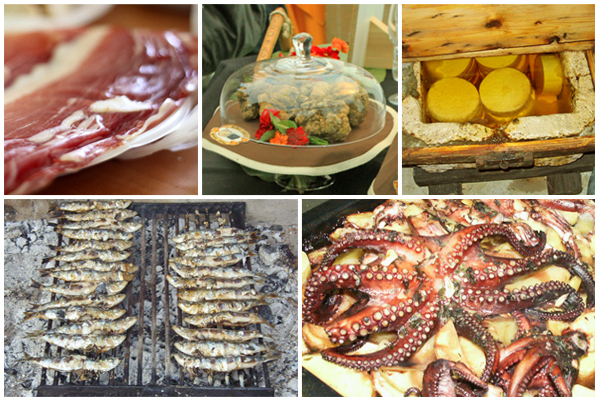 Ispod peke – is actually a term describing a method of food preparation and it’s really famous throughout Croatia. When someone says he/she is preparing something ispod peke, it means you’re up for a real treat. It goes like this: the cook puts ingredients (in most cases it’s lamb, octopus or veal, paired with seasoned potatoes) into a stone oven under a heavy metal cover. Then the cook gathers the surrounding hot coals and places them on the cover. And that’s it – there’s no stirring, probing with fork or lifting of the cover. The ingredients are left to cook slowly in their own juices. And when you finally do lift the cover you’re awarded with a tender rhapsody of flavors. 4. Pašticada – is a traditional meat dish from Dalmatia. Beef is the main ingredient and, before the actual cooking which lasts a few hours takes place, it’s marinated for 24 hours in red wine, garlic and various herbs such as rosemary and sage. During the cooking it’s enriched with dry plums, carrots, onions, cloves and nutmeg so the resulting sauce is thick, dark and rich in flavors. Traditionally pašticada is served with homemade potato gnocchi. 5. Crni rižot – or black risotto, is another Dalmatian must-try dish. It’s a seafood risotto with cuttlefish and squid as main ingredients. It’s name and black color are result of squids’ ink which gives this delicacy its distinctive Mediterranean flavor and personality. Traditionally it’s sprinkled with grated cheese. 6. Riba na gradele i blitva – this is traditionally the most common combination in Dalmatia: mixed grilled fish paired with chard boiled with potatoes. Fresh fish prepared on gradele (i.e. grilled on woodfire), seasoned with garlic, parsley and olive oil, is something you’ll see locals preparing all along the coast. It’s not the rule, but in most cases people round it with sweet tasting chard, an ideal vegetable for hot summer days. This is one of those Croatian dishes which perfectly embody Dalmatian tradition of simple yet delicious quality food. 7. Brudet – is a fish stew traditionally made in Istria and Dalmatia. It’s made of several types of fish, put in layers in a single pot and cooked in tomato sauce. You’re not allowed to stir the ingredients but only shake the pot from time to time. It’s prepared at low temperatures, allowing the fish to cook slowly in its own juices. Traditionally brudet is served with thick, gold polenta. 8. Tartufi – these rare and highly values mushrooms, believed to have aphrodisiac powers, are typical for Istria region. They grow underground and only specially trained dogs can locate them. Though small and unsightly, they ‘re of superb, distinctive flavor and fragrance. Traditionally in Istria slivers of white or black truffle garnish the taste and look of omelettes, pastas and venison sauces. 9. Fuži i pljukanci – are yet another dish traditional for Istria. Actually it’s a homemade pasta which comes in various sorts, of which fuži and pljukanci are the most famous ones. They are completely handmade and hand-rolled. In most cases they are served either with tartufi or some sort of thick game sauce. The most popular traditional combination is with boškarin sauce – a sort of ox native to Istria. 10. Janjetina s ražnja – or lamb on the spit, is the most popular method of preparing lamb in Croatia. Throughout the coast you’ll see signs directing you to places which serve janjetina s ražnja. The whole lamb is rotated slowly above hot coals, resulting in succulent roast meat no one can resist. Traditionally it’s served very simply – with green salad and scallions, but believe us it’s a real feast. Keep up the good work! You know, a lot of individuals are looking round for this info, you can aid them greatly.